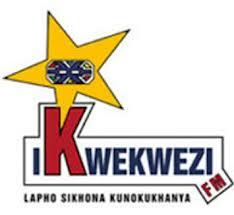 ikwekwezi FM Listen Live Online . It is a South African radio station, with its broadcast transmitters mainly reaching Mpumalanga, Limpopo, Gauteng, and a bit of Northwest. The station is a home to Ndebele speaking people and those who understand it. It strives to transform listeners through the delivery of compelling quality programming. It broadcasts a mix of enlightening, informative, educational and entertaining programmes . Postal Address: P.O. Box 11620 , Hatfield; Pretoria , 0028 . Physical Address: SABC Hatfield Offices , 1059 Francis Baard , Hatfield , Pretoria .